Hello everyone! 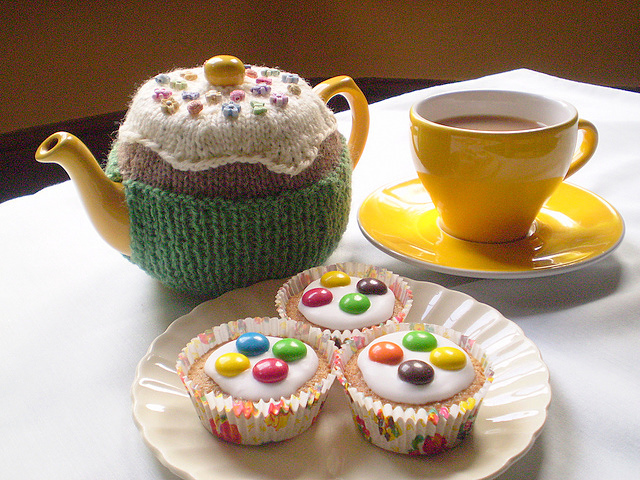 This week I couldn’t wait to share this fantastic woolly tea cosy with you all! 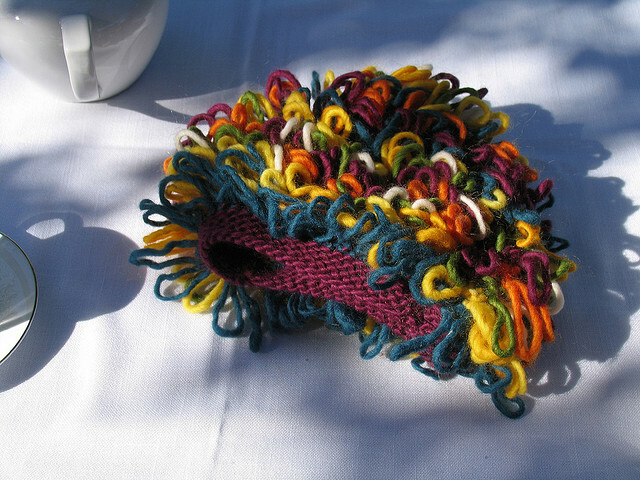 It’s like a little colourful sheep – I love it! 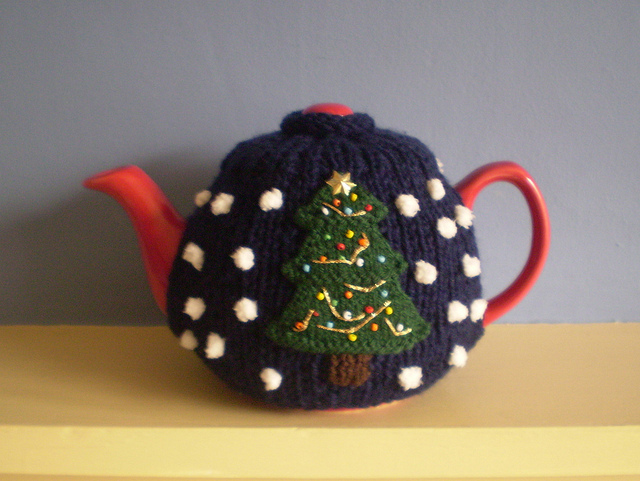 This tea cosy knitting patten was designed by Matt Babcock from Seattle, and is available as a free Ravelry download. 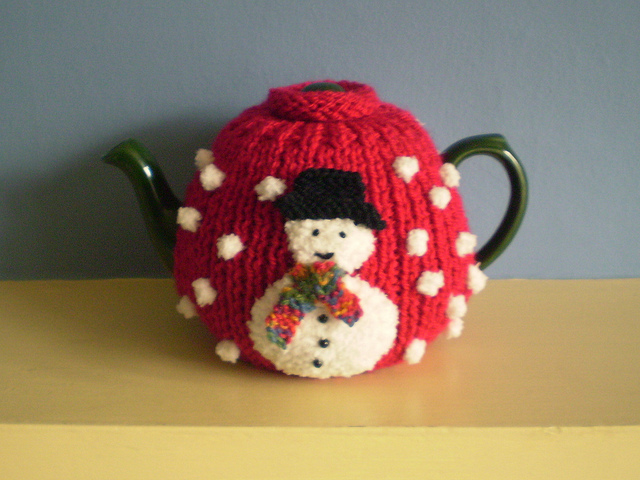 If you are reading this and you’re not on Ravelry, then you are missing out! 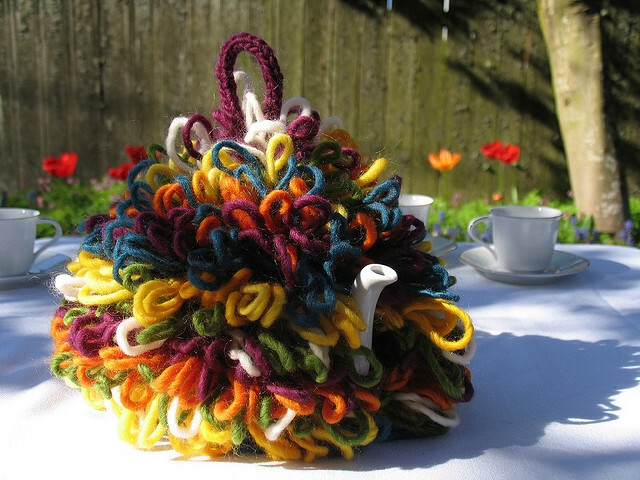 I insist you get yourself over there at once and join in the free knitting fun. 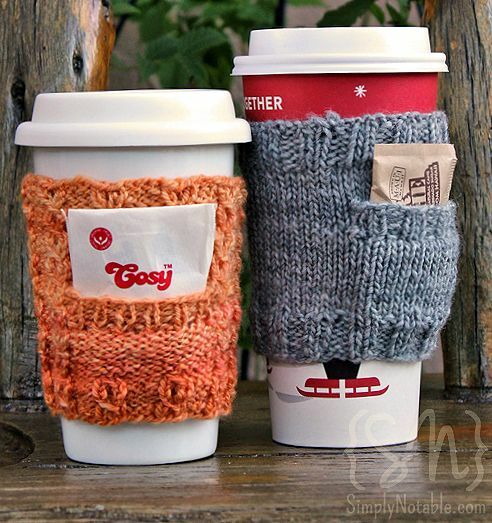 The pattern is knit on 5.5mm(US 9) and 6mm(US10) needles in garter stitch and loop stitch, and Matt includes some really great, clear instructions with photos on the loop stitch. Matt is an architect who also makes amazing scuptures! 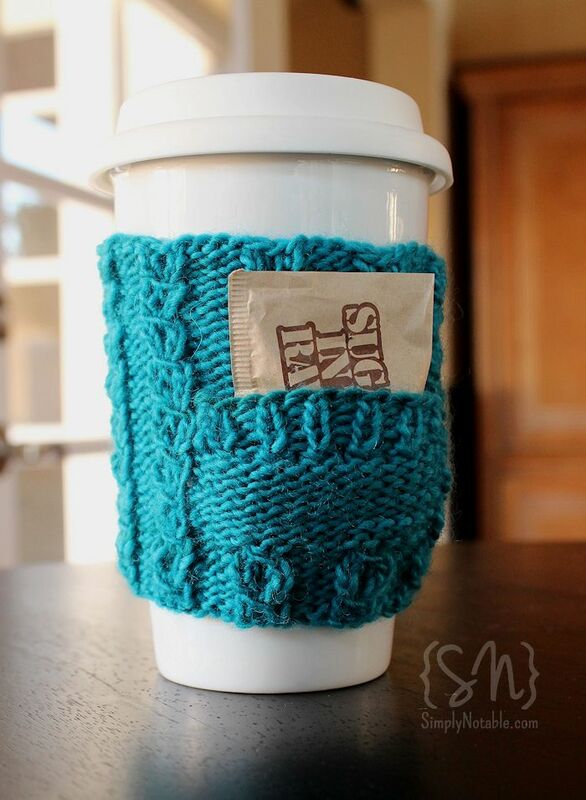 He taught himself to knit so he could design patterns. I suggest you take a look at some of his photos and videos on his website and visit his Ravelry page for more knitting patterns! Happy New Year everyone! 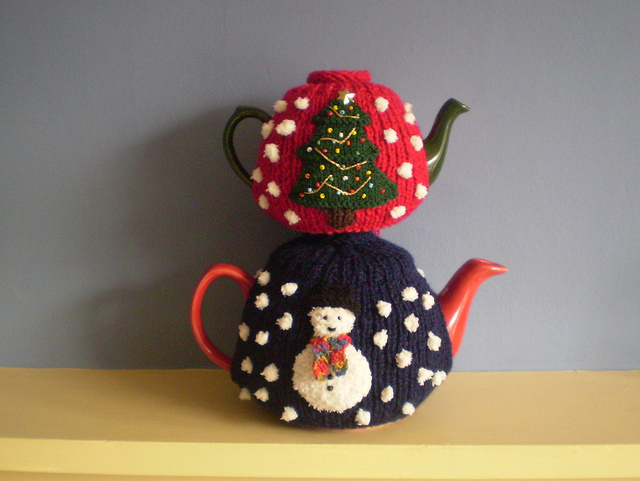 We trust that you all had a truly knit-tastic Christmas, consumed plenty of cake and chocolate, and generally enjoyed a bit of feet-up time. We’re on day six now of the new year, and there is never a better time to have a good detox. Providing (unlike me) you’ve finished eating your way through a fridge full of cheese and tempting treats, an apple a day should be easy! 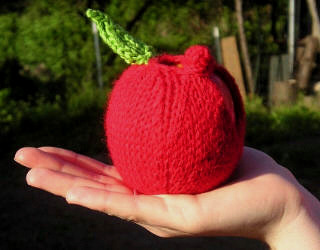 We found this delicious apple cosy knitting pattern online at I think I’m gonna purl (gooood name!) and couldn’t resist a little protector for one of our precious 5-a-day. This pattern is a great project for newish knitters that have already grasped the basics and are looking to try something with increases and decreases, however it does require some experience of knitting in the round on double pointed needles, or using the magic loop method. 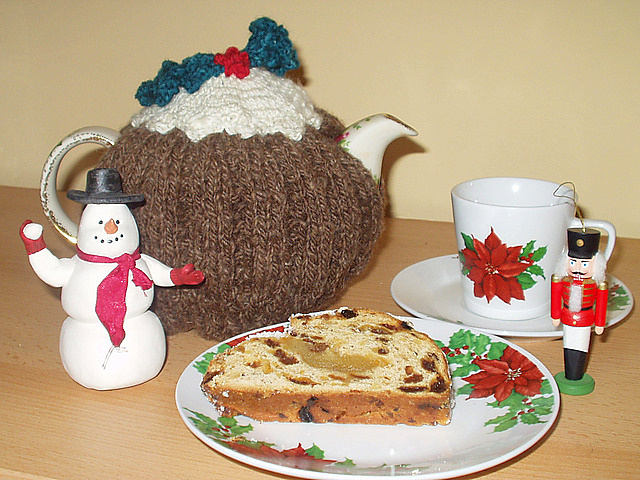 You can find a knitted leaf pattern for the top of the cosy on Loani’s Garden Party Tea Cosy. According to Good Housekeeping Magazine, apples are slow foods and give your body time to register it’s full before you end up overeating. And the sweetners enter the body gradually, regulating your insulin levels and preventing that energy crash you get after eating sugary snacks. They also make you breathe more easily, zap cholesterol, fight cancer and make you smarter, so you really have no excuse. 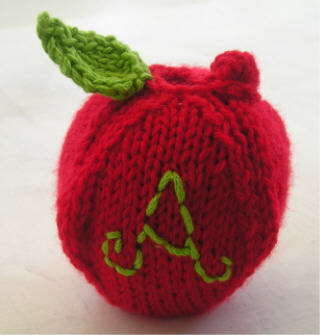 This Apple cosy was designed by Casey who blogs at Sesame Seed Designs.